And many other trades, crafts and pastimes of old. We all know the grandeur portrayed in movies such as Gone With the Wind but those were only a small faction of the population of the charming South - most lived much simpler lives. 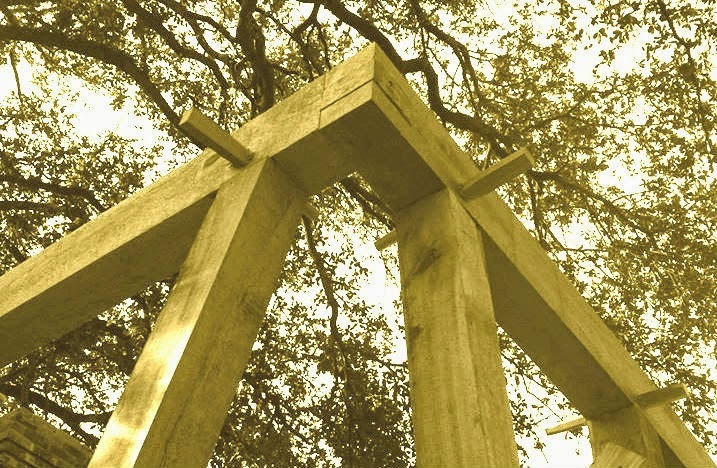 The LSU Rural Life Museum is dedicated to those early settlers, slaves, farmers, tradesmen and plain country folk of old Louisiana. All of the demonstrators are experts in their field and are looking forward to sharing history, telling stories of what the past was like for your ancestors and answering any questions you may have. It is a magical journey back in time to temporarily share in the life you ancestors lead here in the Louisiana Territories. 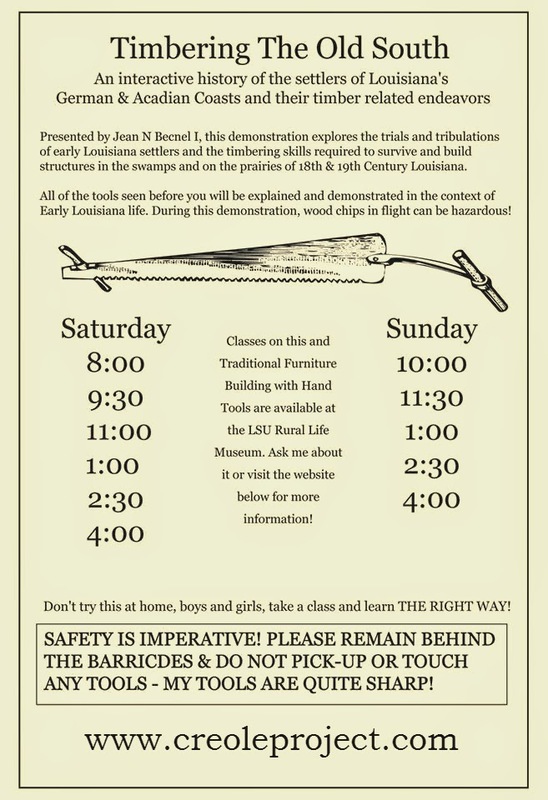 The Rural Life Museum is home to the largest existing collection of Vernacular Louisiana Structures, an impressive display of Lower Delta French Furnishings, the most extensive collection of Material Culture items from 18th & 19th Century Rural Louisiana. The Museum is so impressive it was placed in the Top 10 Outdoor Museums in the World by the British Museum. Visiting the Rural Life Museum truly is a step back in time and on no week-end more so than this one. 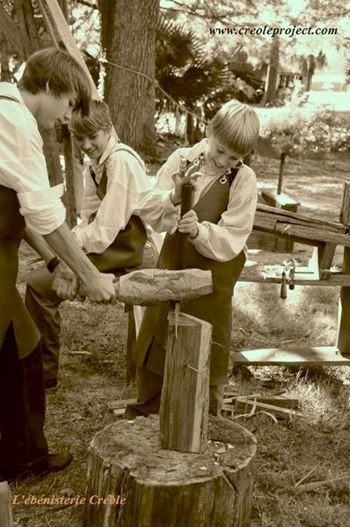 I, of course, will be demonstrating Lumbering, Hewing, Pit Sawing, Log Cabbin Building, and Shingle Making. I will also be speaking at length about 18th Century immigration to Louisiana particularly to the German Coast. Ray McCon, an experienced traditional woodworker and bow builder, will be there with his travelling shave horse and various hand tools to wow you all with his boyer (bow building) skills and talk about the history of bow building and it's uses by various cultures. As noted above there are many many craftsmen all worthy of note - I think you get the idea. Come on down and visit! The museum can comfortably handle a couple thousand visitors at any given time and we will see 5-7 thousand guests over the week-end. If you prefer to avoid crowds I suggest coming early Saturday morning or late Sunday Afternoon. We will be open from 8am to 5pm both Sat & Sun. Food and refreshments are available for purchase all day. If you have any questions please call the Museum for more info.